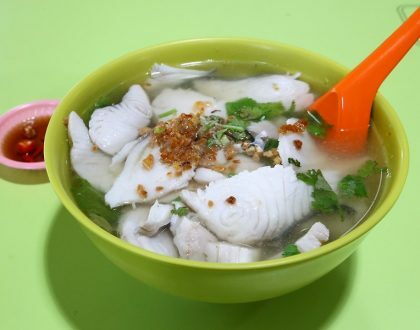 [Ho Chi Minh City] Vietnam’s good food places are not all about Ben Thanh Market. 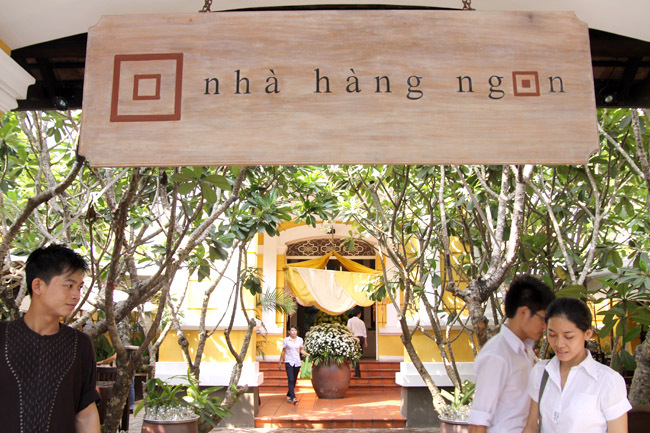 If you have been to HCM a few times but have not been to Quan AnNgon, you do not know what you are missing out. 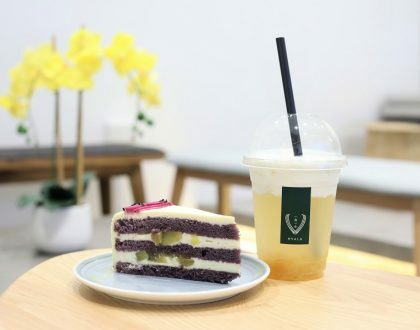 Quan An Ngon translates to “a delicious dining place” and it feels like a Marche, marketplace or foodcourt – and a more beautiful and higher-classed one. It brings the classics to the streets. 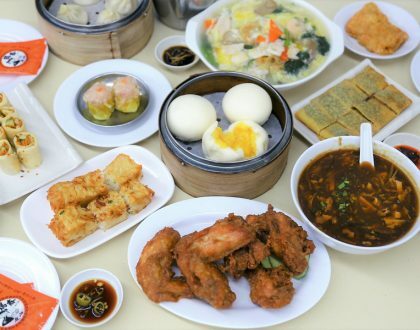 This ‘restaurant’ at Pasteur Street is located within a classic French colonial style bungalow, and food is displayed like an open-air village market setting. 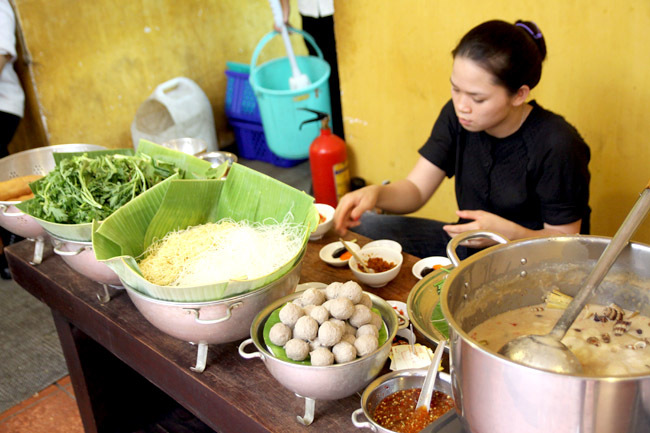 Many visitors enjoy Vietnam’s street food, but may worry about comfort and hygiene. Here, you can see the food prepared right in front of you, or wait in comfort under blossoming trees. Ngon provides a plethora of Vietnamese delicacies from all around the country, and some of the recommended must-haves are the “West Lake” Shrimp Patties, Vietnamese Rice Pancake “Banh Xeo”, “Mi Quang” Tumeric Noodle Soup, “Ngon” Pork Salad and Vermicelli in Soup with Pork Leg and Indian Taro Stem. 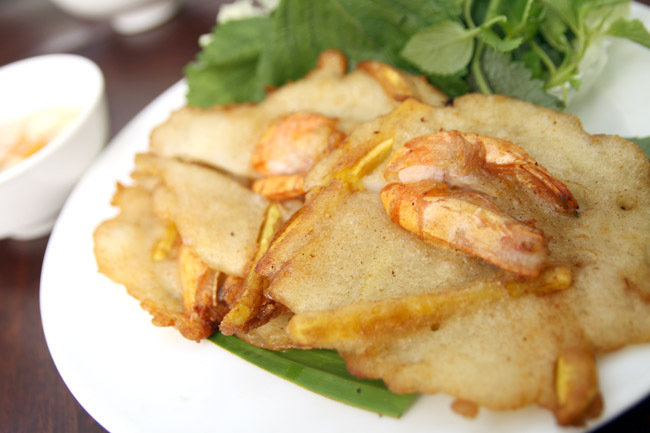 The Banh Tom Ho Tay “West Lake” Shrimp Patties (45000 VND, SGD$2.70) are a speciality in Hanoi, North Vietnam. Thankfully, it was not overly greasy but I was not blown away by it, perhaps because we have something similar in Singapore. Attracted by a strong aroma I spotted a stall selling grilled seafood which I could not stop ordering. 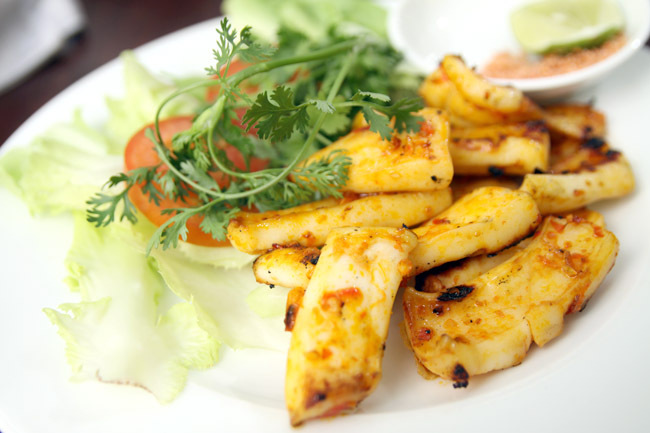 The cuttlefish, lightly salted, and grilled with spices and chilli was indeed addictive stuff. There is also a saucer of spicy salt at the side for dip. 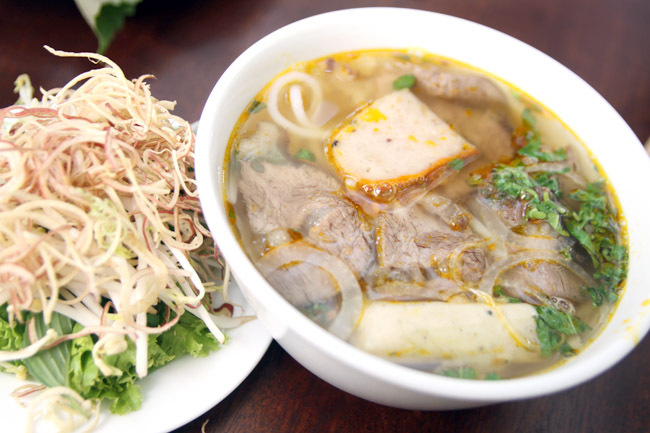 The Bun Bo Hue (34000 VND, SGD $2.10), a beef noodle soup Hue style from Central Vietnam, was deliciously prepared with thick soup, tender beef slices and noodles so slippery tasty. Even though this is like a marketplace, food is displayed like in a restaurant setting. And it is very affortable. The Vietnamese food sold may not be the most authentic, but it is a charming beautiful place. Oh, and it has free wifi. This place is huge! I went there almost everyday when in HCMC and always sat upstairs. Loved this dish of rice cakes which I ordered dipped in salty shrimp sauce. At night this place transforms into a pub-like restaurant and gets extremely crowded!